Tables are usually known for their practical purpose and they come in a wide variety of in a wide variety of sizes, materials and shapes depending on their intended use. Tables are also used as a stylish element to spruce up a home or office; they play an integral role in a home’s decor outside of just practicality. If you are on the market for a table unlike any other you’ve ever seen, then these 15 fascinating options will certainly blow your mind. Looking like something from a futuristic movie, this table is made to appear as if it is dripping red paint onto the floor. It was Created by French designer John Nouanesing, and he calls it the ‘Paint Or Die, But Love Me’ table. As the name suggest this table was fashioned after the popular timepiece. It was created by Lee J. Rowland and the best part is that it actually functions – yes it tells the time! The table can also switch from clock mode to a message mode that displays text, with a maximum of 8 letters. 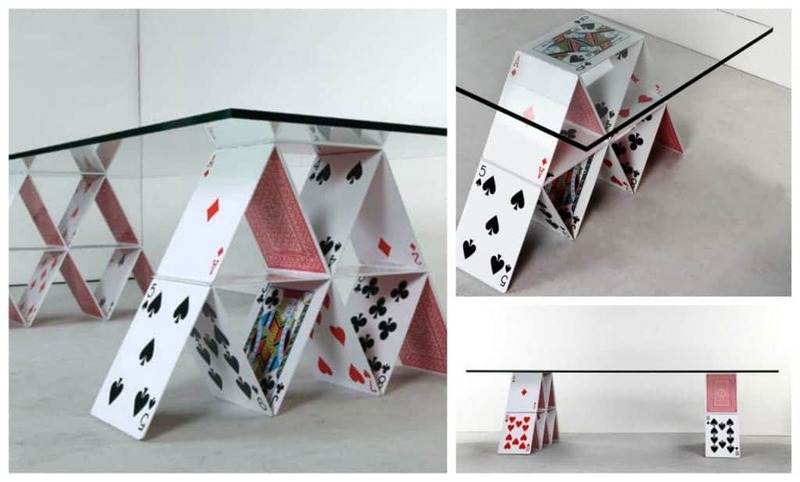 Now that’s a cool table! This captivating table is designed by Rafa Garcia and is handmade to give the impression of a table cloth on a round table. However, this is an illusion as a closer glance will reveal that the tablecloth is the actual table! You may have had to throw out your cassette tapes, due to the emergence of CD players and well, the internet. 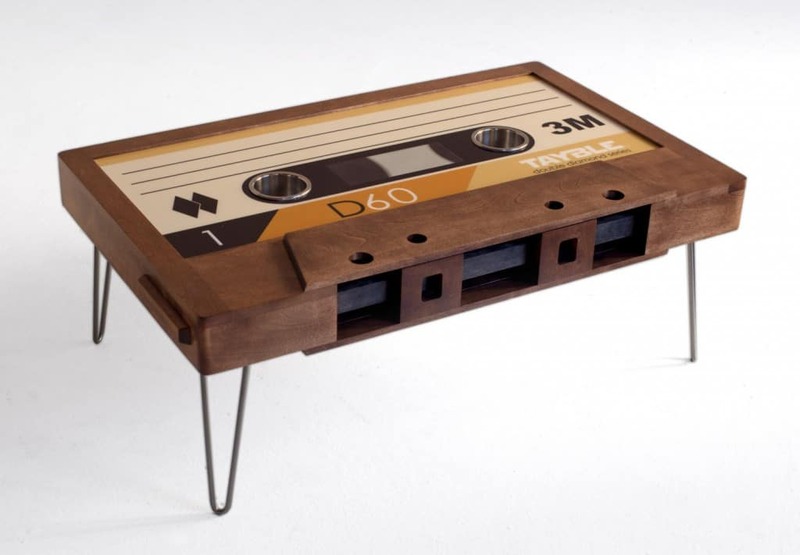 But hey, you can still keep memories of the old days thanks to this funky cassette tape table. British designer Jason Taylor created this table to look like bristle brushes for some strange reason. It is quite unique to say the least, and i’m sure every housewife in the world would love to own self-cleaning furniture! 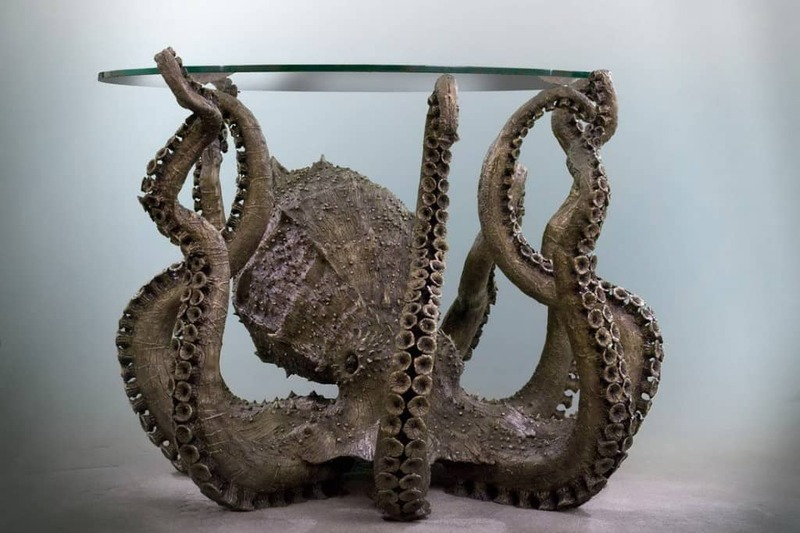 The craftsmanship that went into this enthralling octopus table is certainly admirable. It was designed by LA based designer Isaac Krauss, and is finished with molten bronze which gives the effect of a real octopus. No that’s not a humongous book, its actually a coffee table made to look like a humongous book; cover, leaves, spine and all! Don’t worry, this is one stack of cards that won’t topple over no matter what you do. Created by Mauricio Arruda, the delicate looking cards are actually 4mm thick steel plates and can support up to 550 pounds. 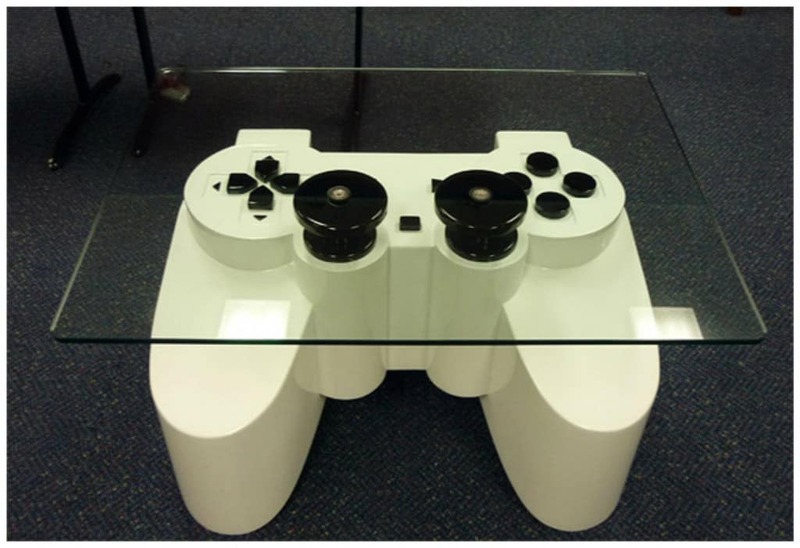 Video game fanatics will certainly be lining up in stores to get this game inspired table. Made by Australian student Mark M, the piece is made out of plywood and veneer, and fashioned to resemble a playstation controller. 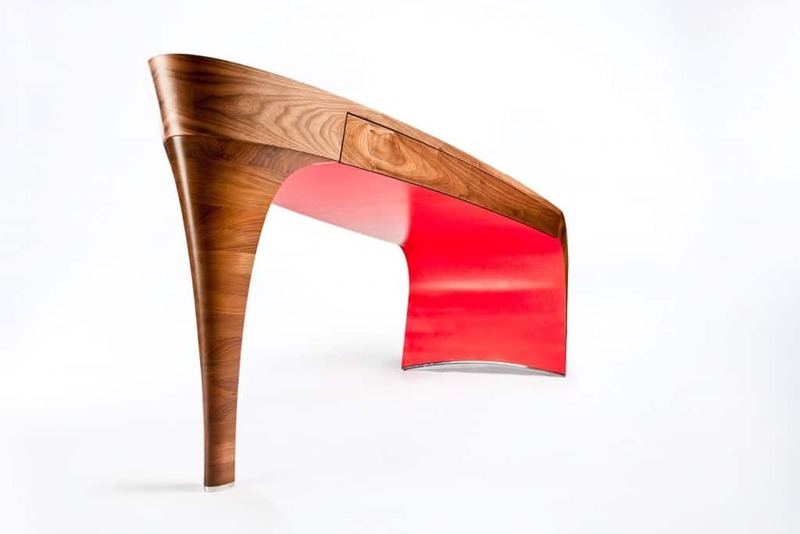 This fancy stiletto table is every fashionista’s dream. It doesn’t just resemble any old pair of heels; it resembles the always glamorous Louboutin heels. 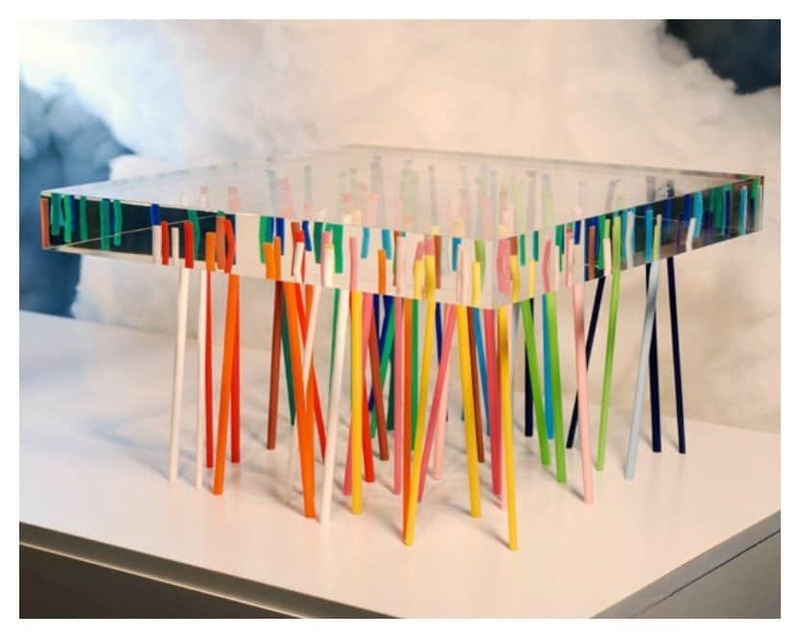 This unusual table was created by Japanese based company, Emmanuelle Moureaux Architecture and Design. Colored acrylic sticks are randomly embedded into a piece of transparent acrylic which serves as the surface for the table. The sticks appear and disappear, depending on the angle at which you view them. This charming table certainly emits a whimsical element. 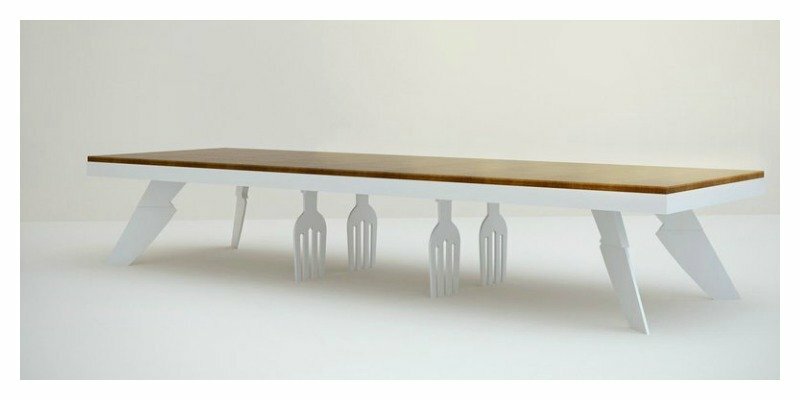 Designed by Tcherassi Vilató, the legs of the are made to look like knives and forks, adding a quirky and fun element to your dining experience. Who needs to spend money on candles? 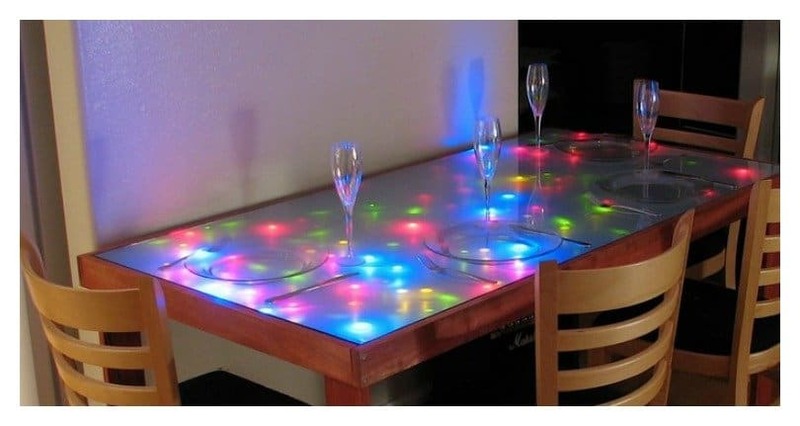 You can easily set the mood with this amazing LED light table. It doesn’t just provide light, it actually interacts with your movement above it, creating unique light shows every time it is in use. 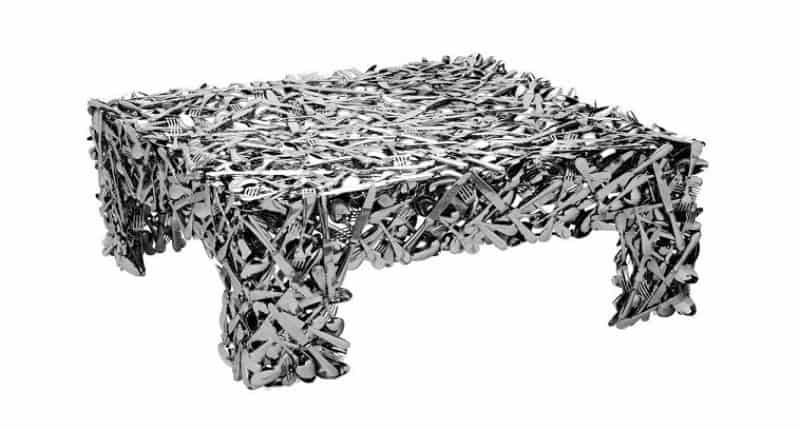 This piece known as the ‘precious famine coffee table’ is made entirely out of kitchen utensils. 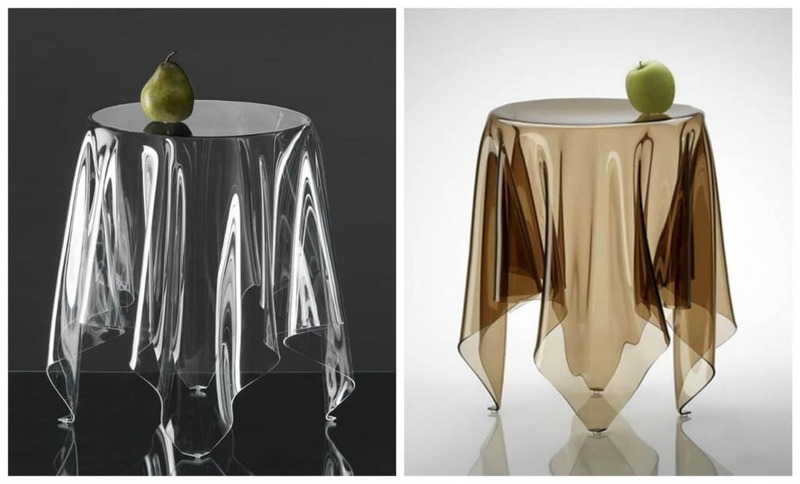 This cool and creative table was designed by Toni Grilo for a Paris exhibition. 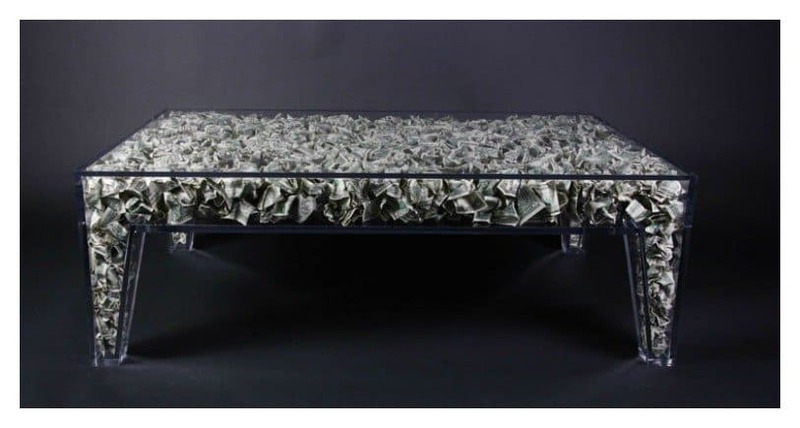 Your eyes are not deceiving you, this custom-made coffee table has real dollar bills stuffed inside — 700 dollars to be exact. It’s one thing to have a table made to resemble money, but it’s a whole other ballgame when you actually have real money stored inside.